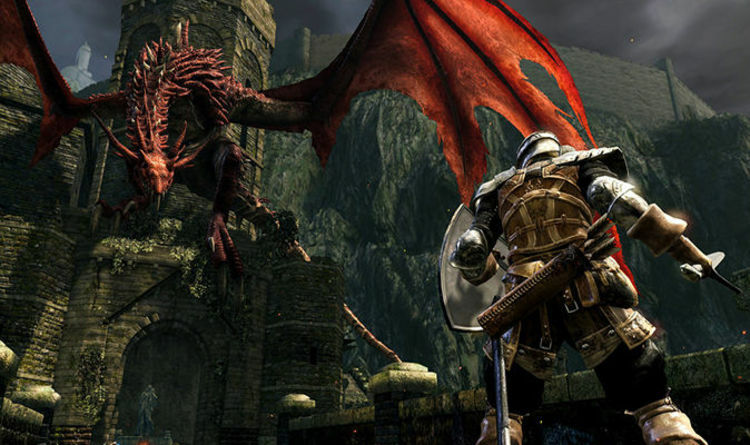 Dark Souls fans have been treated to good news and bad news ahead of the release date. A fresh batch of Dark Souls Remastered previews have gone live, but there are conflicting reports about the game’s frame rate. A recent piece on VG247 suggests that Dark Souls Remastered experiences occasional stuttering near the bonfire of the Undead Chapel. The notoriously patchy Blighttown, meanwhile, was off limits during a gameplay event. A leaked article on Fandom, meanwhile, states that Blighttown runs smoothly and without frame rate dips on PS4 Pro, which is great news for fans. The remastered version also appears to have tweaked the jumping mechanic. Instead of holding a button to dash, letting go and then quickly pressing it again, Dark Souls Remastered reportedly assigns the action to the L3 button on PS4. This should make it slightly easier to jump over gaps and pick up secret items. Bandai Namco recently confirmed that the Dark Souls Remastered Network Test will be available on all platforms. Ahead of the Dark Souls Remastered May 25 release, the publisher will hold a test to see how the servers hold up. It’s unclear exactly when the test will take place, but it could happen at some point during April. “Before the release of DARK SOULS REMASTERED, a Network Test will be conducted on PS4, Xbox One, and Nintendo Switch,” a tweet reads. An April Network Test would make the most sense, as it would give the development team more time to fix any particularly game-breaking bugs. The Dark Souls network test will be available to download from the Nintendo eShop. It was announced alongside new gameplay footage during a recent Nintendo Direct. The teaser featured a look at bosses such as the Gaping Dragon, not to mention the Bell Gargoyle. Fans were also treated to a look at the newly revealed Solaire Amiibo. Scanning the Solaire of Astora Amiibo will allow players to perform the famous ‘praise the sun’ emote. The Dark Souls remaster will include the Artorias of the Abyss DLC, as well as an improved frame-rate and resolution.